In today’s review we will be looking at one of the most recent and elaborate SCAMS put together by a very talented group of marketers – Profits Today. Profits today posts “live trades” from today, however the way it’s happening is not realistic, illogical, and can not happen in real life because this chart is fixed on one parameter which shows consistent growth. In reality one would have fluctuations, I mean everything in life has ups and downs (even my relationships ;-), but that’s another story). Anyways, this thing has con job written all over it. If you are in the mood to get ripped of by all means feel free to register for this service. Furthermore, if you look at the second page you will see an instructional video. The person reading the script is advising you to fund a banc de binary account, but for some unknown reason a GTOptions account is displayed and an auto-trading feature is opened (kind of strange). Technically speaking, you need look no further. Everything you need to make a decision is there and waiting for you. Strictly speaking, much like most of the schemes available these days this whole business is starting to look like one big cesspool filled with all kinds of swindlers and deceptions. If you want more proof this is a scam please feel free to contact me directly by leaving a comment below and I will also guide you as to how you can actually make money in this ruthless yet potentially very profitable profession of binary options trading. If you want to go solo, by all means make sure you allocate a certain amount of cash you are ready to lose (similar to what you do when you go to a casino to roll the dice or shoot craps). Please note, there are a lot of so called Gurus out there pretending they actually know something – I personally don’t mind all that but would also like them to come out and be completely transparent about how they do things because I believe that while it’s OK to refer people and get paid for it, there are a lot of innocent people out there who really have a hard time making it through the day and have major bills piling up. I believe everyone has a right to dream, it’s what keeps us sane at the end of the day. But when reality hits and someone on the other side pushes you to spend your savings or pension it’s not something that should be taken lightly. So if you are down or just want some advice feel free to hit me up no problem, even if I’m busy I will always try to respond. So, just a quick recap on this Profits Today Review. 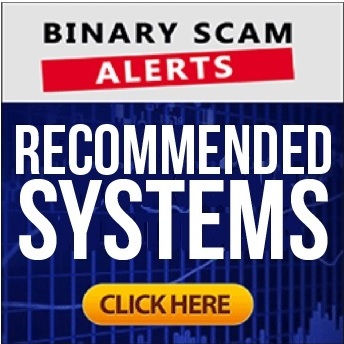 I honestly believe it’s one of the less sophisticated scams out there today, and I strongly recommend you think twice before investing through this system. Furthemore, before investing you need to make sure you are dealing with regulated brokers like OptionWeb who have a good reputation for paying out withdrawals promptly and also take the time to respond to questions, even if they are not directly related to depositing. A good alternative would be www.thebinaryprofitmethod.com, at least you can choose your broker and minimize your chances of getting ripped off. I wanted to thank you for taking the time to read this article and if it helped you make a more educated decision about trading drop me a note below.